We’ve talked about the history of the capsule wardrobe and we’ve discussed the benefits of the creating a pared down closet. Now we’re ready to start the process of creating a capsule wardrobe that works for you! Just remember: this is a process. 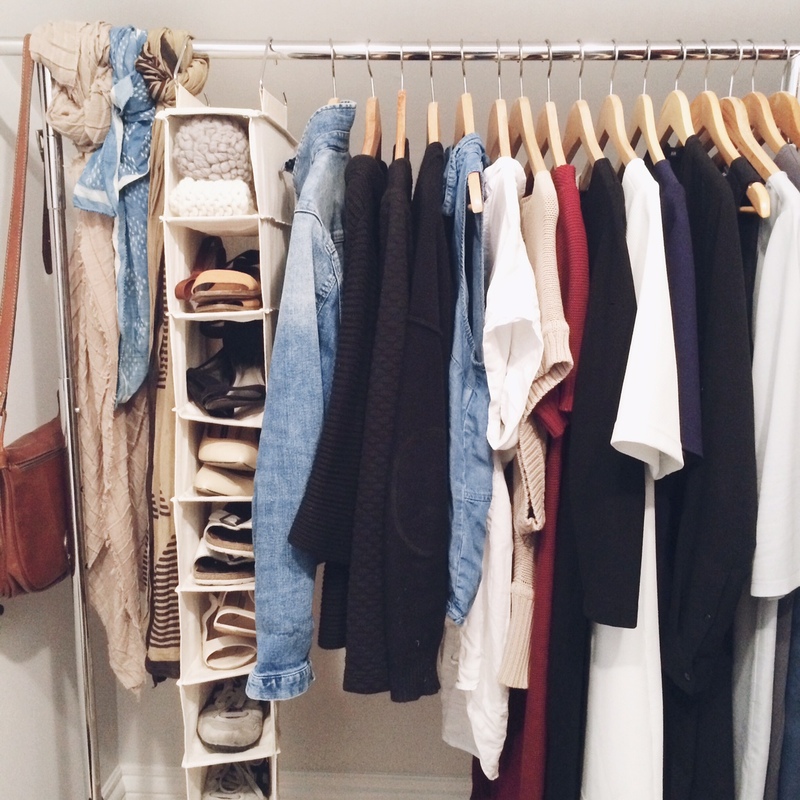 It probably took years to collect all the clothes you have in your closet. It will take a while to cull through that closet and begin creating the perfect capsule. Let’s get started! If the piece of clothing sparks joy and you reach for it on a regular basis, place it in the “keep” pile. If not, place it in a “discard” pile. This may seem like a daunting, time-consuming task, (and it is) but think of it is a time for reflection, almost like meditation. You will feel more enlightened, both physically and mentally, by the end. Clothing “Crutches”: You might have items of clothing that you wear often but do NOT bring you joy or make you feel good. These are “crutches” and we recommend that you get rid of them. You should want to reach for every item in your capsule and they should all make you feel great. “Should” Clothing: Every woman has clothing she feels like she “should” own. It could be a suit you bought for an interview but never wore, or a black cardigan your mother bought you. If you don’t wear it, don’t keep it. You don’t have to own anything that doesn’t work for you. Sentimental Clothing: We all have pieces that have special meaning to us, but may not get regular use. That is totally fine. If these items bring you significant joy, keep them. Just don’t go crazy and get too sentimental and let these clothes rule your closet. Jay’s sentimental items include her mother’s engagement dress, her wedding shoes, a black jumper she wore to her rehearsal dinner, and a t-shirt from the Brass Kickstarter party. You should now have a Keep Pile and a Discard Pile. It’s time to evaluate further. Clothes in good/great condition: You might be able to resell it, especially if it is a known brand. We love turning old clothes into cash that you can use towards a more purposeful item. You can go to a local consignment shop, do a clothing swap with friends, or use an online service like Tradesy. This site is great because you upload an image of your item, name the price, and list your item. If someone buys your item, they take a small percentage and you get cash. Clothes in good/decent condition: If you do not think it can be resold take it to a Goodwill or donation site. We do not recommend throwing clothes in the trash. They will go to a landfill and depending on the material, take decades to decompose. Do your best to donate or repurpose old clothes. Clothes in great/good condition: Fabulous! These are keepers and have a place in your new wardrobe. Clothes with signs of wear: If the item has holes, stains, rips, tears, or is stretched out, then it should be replaced. It is easy to overlook the condition of a garment we rely on regularly. You might wear black jeans three times a week. If the knees have bagged out or the interiors of the crotch seams are worn down, consider replacing this piece of clothing. A capsule wardrobe is less clothing, but you want these pieces to be in great condition so you can look fabulous with ease. Step 3 | What’s Missing? You might own variations of these items. Use this as guideline and adjust based on your unique needs. After you have determined which items you are missing, rank them in terms of importance. If you need a new blazer because you work in an office setting, but also need a pair of jeans, prioritize the blazer over the jeans. You will need to wear it more often. If you are a full-time mom, you would likely prioritize the jeans over a blazer or cocktail dress. Most importantly, do what works for you and make a physical list, on paper or on your phone. Reference this list whenever you go to make a new purchase. Step 4 | Have a drink. It can be tiresome going through your closet. 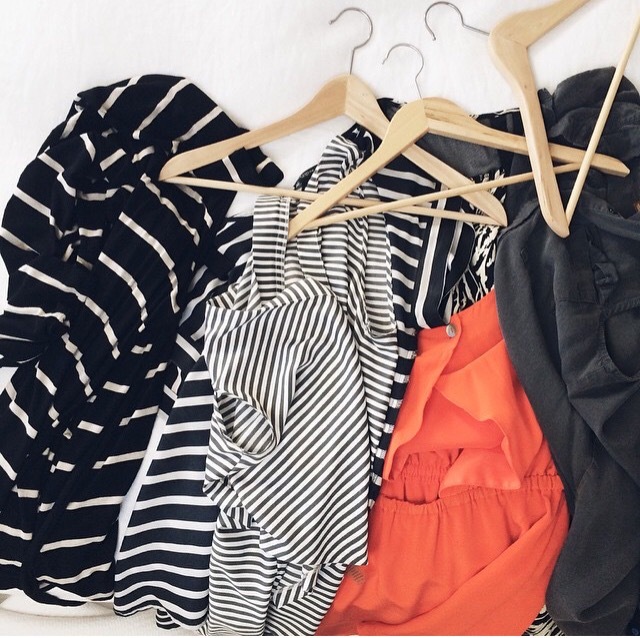 Crafting the perfect capsule wardrobe is difficult and it takes time. Recognize that you have taken the first step in building the foundation for your capsule. Pour yourself a glass of wine and do a little online “window shopping”. Don’t buy anything just yet. Put your new list next to you and start looking for quality brands that make clothes that last. You will now be investing in pieces that will be worn often. They should fit well and make you feel great. It will take you longer to find the “perfect” jeans or blouse or dress, but do not settle. Just remember, you should love to reach for every single item in your closet. That is the goal. Could an article be written about getting over the desire for wanting more clothes? If you find this interesting enough to take on, could you also include the links to minimalist fashion bloggers? I find that to be a huge crutch. I feel guilty for getting rid of my clothes – like all my life I’ve been trained to acquire and keep “stuff” and multiples of these things so have “selection” and “options.” I am in the process of unlearning these habits to enjoy freedom in less. Thank you for this post!! I think that the desire to want more clothes is my biggest problem. I have everything needed for a basic and functional capsule wardrobe, but i always find myself scanning sales and clothing websites for stuff that i don’t need! I buy just because its a great deal. Also i tend to buy something that I love in multiples- sometimes the same color sometimes in a different color. This is leading to me having so much stuff. Stuff that I love, but stuff that doesn’t necessarily get much use! I totally hear you. I think that desire is ingrained in all of us. Fast fashion has made owning more clothes more affordable and it is always hard to pass up a deal! You could try to slowly pare down your wardrobe with one piece a week. See how you feel after a month. If you are feeling “lighter” keep it up! I’d love to see something about rebuilding a wardrobe after major weight loss. I lost over 50 lbs this year and I’m thrilled. But most of my clothes are too loose now. I want to build a long lasting classic wardrobe but it’s difficult when you need to replace most everything. I don’t want to support fast fashion, but with an overhaul this big I can’t afford much else. I’d love some advice!